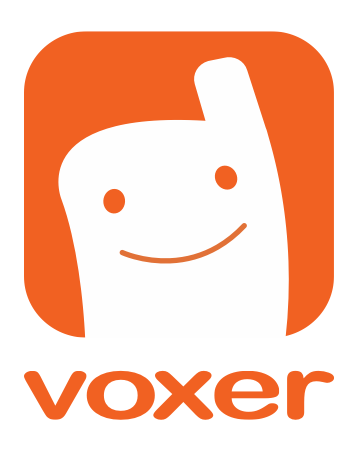 There are several ways to find friends on Voxer. Address Book matching. When you sign into Voxer, you will get a notification asking you to share your address book with us. By clicking OK, you will enable us to automatically match you with your friends on your address book who have signed up for Voxer. Enter your Phone Number on your Voxer profile. To do this, go to your chat List > go to the Main Menu button > My profile > Enter your phone number. We use your phone number only to connect you with friends. We will never display your number to any other user. Invite friends via SMS to download Voxer. Go to your chat list > Tap on the main menu (upper left corner) > Tap "Invite Friends" > Enter the name of your friend > Select friend or friends to send text or email messages > Send. Anyone that signs up from your invite will be automatically added to your contact list. Search the Voxer directory. To do this, go to your chat list > go to the Main Menu button > Select Contacts > Enter either the email address or full name on the search bar > Search > Select your friend > Start Chat. You will be placed in a chat with your friend and can begin sending messages. *Note: If you are having trouble finding your friend because there are many people on the Voxer network with their name (ie. "John Smith" or "Jennifer Parker"), or because they may have 'Privacy Mode' enabled, try searching by their e-mail address or username rather than by their full name. You can also have friends search for you by your username. You can locate your username on your profile page.